2013 and 2014 bath design focused on sustainability and doing more for less. Now in the world of Atlanta design and remodeling we’re starting to see a focus shift. In 2015 bathrooms will address a more personal element: how our rooms make us feel. It may sound silly, "how does the bathroom make you feel?" But considering the fact that the bathroom is often the first room you walk into in the morning, and the last room you walk out of at night - how your bathroom makes you feel can be a very integral part of how you feel in your home overall. 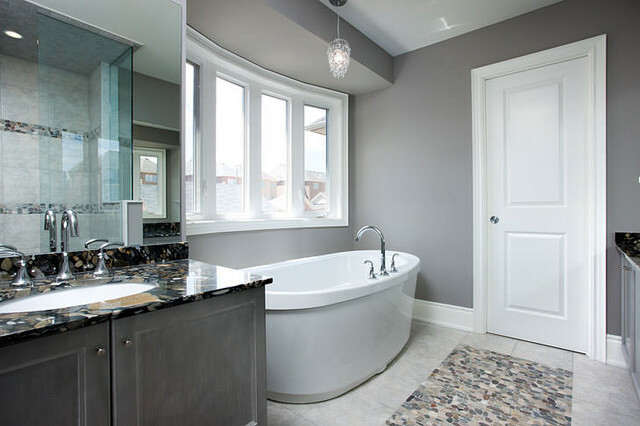 Some of the bathroom remodeling trends that AK predicted for 2014 (uptick in tiling bathroom walls, custom showers overtaking tubs and the use of the color gray) are sticking around for 2015. But in case you missed any of it, or want to know some new bathroom design trends and ideas for the new year we compiled a list of AK's 2015 Bathroom Trends. Here goes! Feature floor tiles. In the past the focal point of a bathroom was often the vanity, countertop or even the fixtures. Rarely - RARELY - ever was it the bathroom floor! Why? We think this year it's the year of the floor! Not since black & white checkerboard tile was hot has the floor seen so much focus. Whether the focus is a pattern or a color, floors are going to shine this year! Geometric tiles - On more than just the floor! Geometric patterns have been all over home design for the past year and a half. But now they are being considered a modern classic and infused into more permanent design features, like tiles. 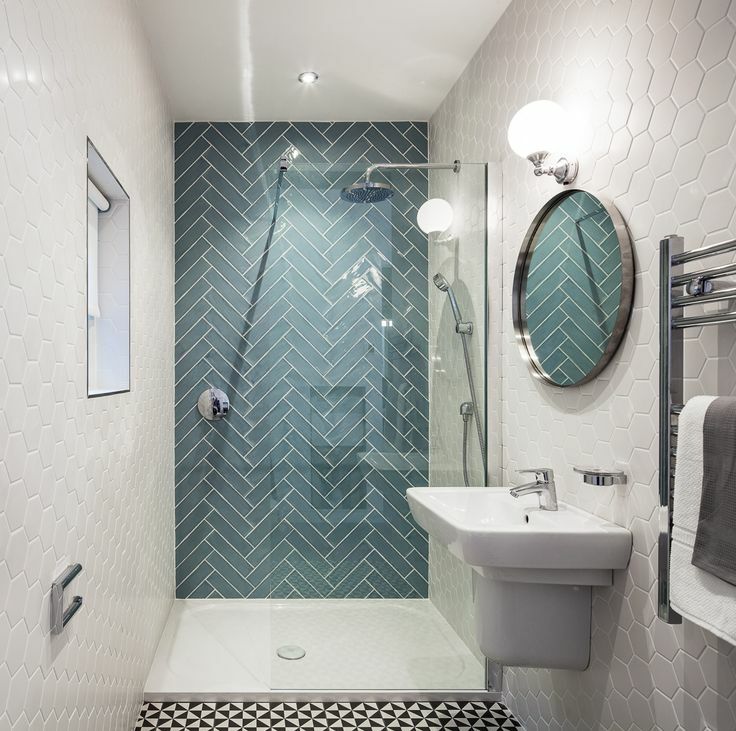 As we predicted last year, many homeowners are finding it functionally desirable and aesthetically pleasing to tile partly or fully up their bathroom walls - particularly in small spaces. Custom Water Control. Say goodbye to basic shower and basin faucets - even our previously trendy "Rain Head," and say hello to smart, user-friendly bathroom fixtures. These include thermostatic mixers; mixers that control multiple water sources, touchscreen-operated showers that give users more control over the flow, mix and temperature of water, and much more. In this Kohler shower pictured the user can control the water, light, sound and steam from a single location. Speakers, Rain LED overhead faucets with Chromatherapy LED's and Aromatherapy Scents are also included. Bathrooms that reflect the rest of the home. No one wants to walk out of their modern minimalist kitchen into a Provencal cottage living room. Similarly, no one wants to walk out of their rural chic bedroom into their dated 1980s bathroom. While bathrooms may usually remained closed to the view from other rooms in the home, the bathroom should none the less reflect the same style and taste as the rest of the house. Looking at the bathroom as an integral room that deserves attention and good design, as opposed to a space to be tolerated and sanitized has given rise to beautiful bathroom designs in the last 5 years. As well as elevating bathroom remodeling to the #1 remodeling project around the country! We don't think this new mindset is going anywhere in 2015. Gray. Calm. Cool. Collected. These are just some of the feelings that are customary to associate with the color gray. It's also perhaps the trendiest neutral out there right now. In the 80s and 90s we turned the beloved beige. Today, we're twisting the idea of a basic palette with a little black edge and turning to gray! Gray is simply a more elegant neutral. It gives depth to subtle colors and makes bold tones pop. In the bathroom, be sure to use a flat paint or matte finish items so the color looks organic instead of industrial! Quartz Countertops. While you may have heard the brand name "Sile Stone" being tossed around as the new intruder into the granite market - you may not have realized this is just a brand of engineered quartz. With low maintenance, high durability and literally endless color choices, quartz countertops offer an excelled alternative to natural stone countertops. Here in Atlanta, we can usually find a granite to fit any style and any budget. 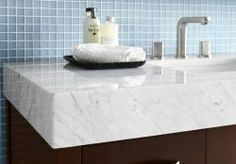 But as the desire to customize our bathrooms grows, so will the utilization of various brands of quartz. Bold colors, marble knock-offs and thicker "statement" slabs will be 3 main reasons people flock to quartz this year. Dreaming Of A Newly Designed Or Remodeled Atlanta Bathroom?